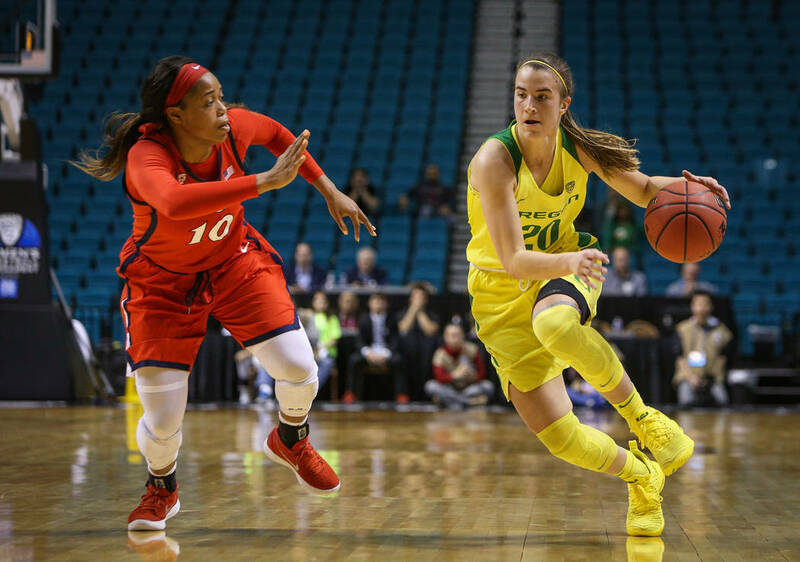 Oregon’s Sabrina Ionescu, a 5-foot-11 point guard, has flaunted in Las Vegas the precocious skillset that has helped her net an NCAA record 17 triple-doubles and emerge as perhaps the top prospect in next month’s WNBA Draft. 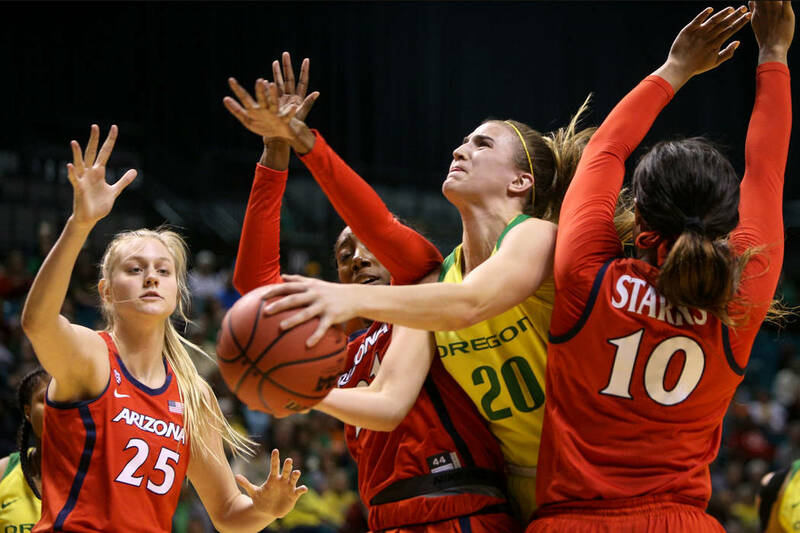 Bill Laimbeer sat calmly Friday in a courtside seat at the MGM Grand Garden while Oregon played Arizona in the Pac-12 women’s basketball tournament quarterfinals. 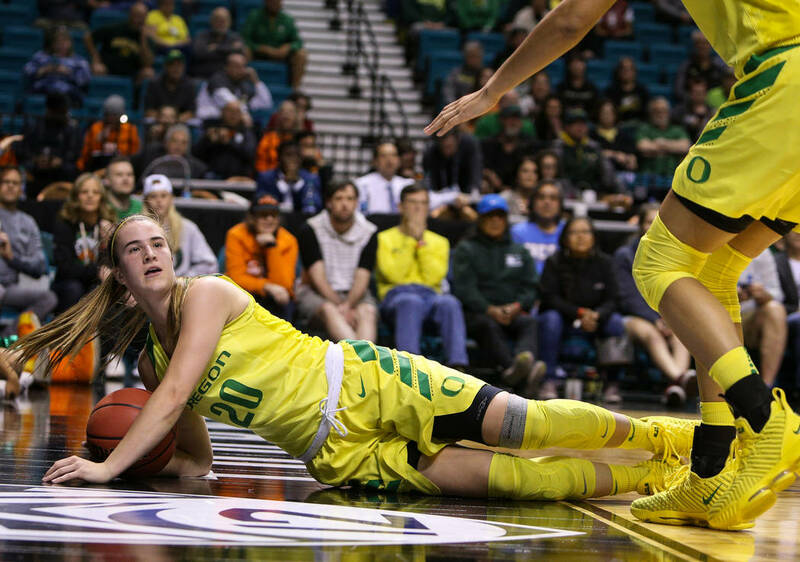 Au contraire, Sabrina Ionescu, the Ducks’ junior guard and two-time Pac-12 Player of the Year, sprawled in the third quarter for a loose ball a few feet from the Aces’ coach and president of basketball operations. Effort was simply one of the components that drove her 18-point, eight-rebound and 13-assist performance before Laimbeer and a raucous crowd in Las Vegas, where she has excelled in two conference tournament victories. Where she could excel this summer, too. If she so chooses. On Saturday night, the 5-foot-11-inch point guard helped lead defending tournament champion Oregon to an 88-83 overtime win over UCLA in the semifinals. She didn’t shoot well, hitting 4 of 19 field-goal attempts, but had 18 points, 12 rebounds and six assists while playing all 45 minutes. Sixth-ranked Oregon will meet seventh-ranked Stanford, a 72-61 winner over Washington in the other semifinal, at 5 p.m. Sunday for the championship. The winner receives an automatic berth into the NCAA Tournament. 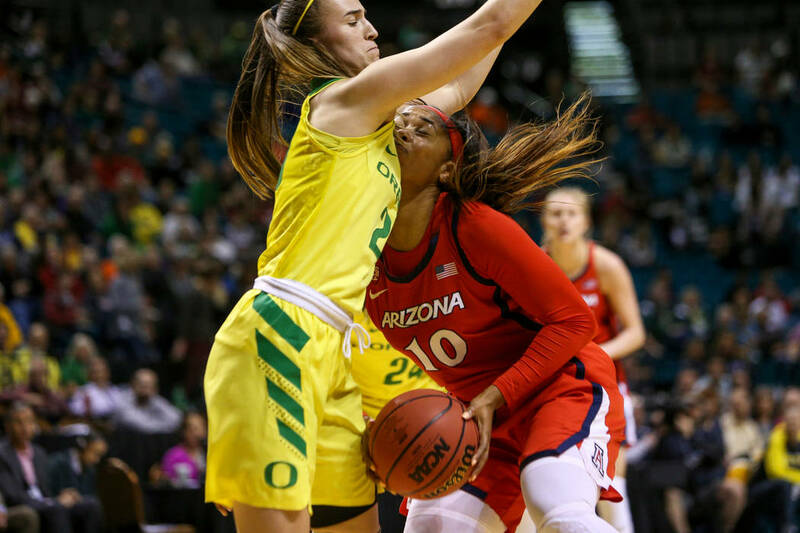 Ionescu has flaunted in Las Vegas the precocious skillset that has helped her net an NCAA record 17 triple-doubles and emerge as perhaps the top prospect in next month’s WNBA Draft. The Aces have the No. 1 overall pick. Ionescu, though, would have to forgo her final year of college eligibility to enter the WNBA Draft. And the Aces, equipped with young ballhandlers such as Kelsey Plum and Moriah Jefferson, would have to select her. But Laimbeer remains open-minded while he ponders trade possibilities before the season, which begins in May. 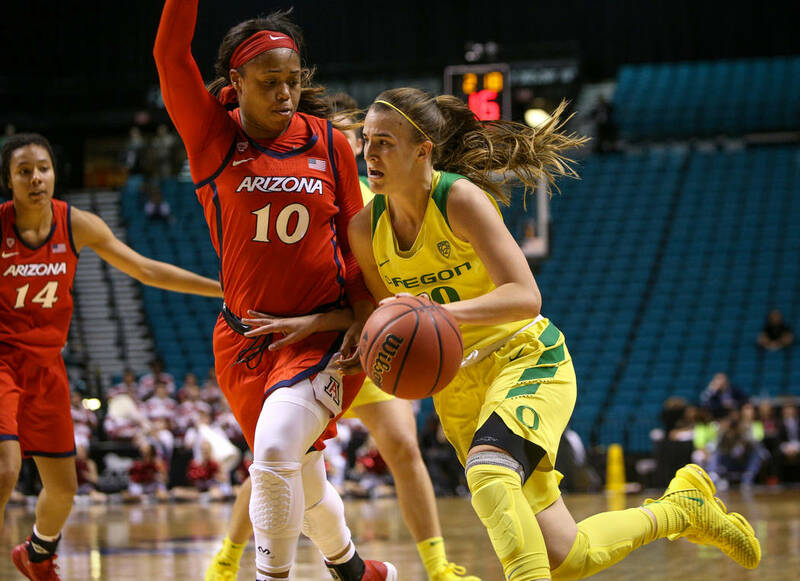 Ionescu helped transform Oregon into one of the country’s marquee programs by merely signing with the school as a McDonald’s All-American in 2016. She averaged 13.9 points, 6.7 rebounds and 5.6 assists as a freshman, and 19.2 points, 6.7 rebounds, 7.8 assists as a sophomore en route to her first conference player of the year award. While troubling opposing coaches in the process. Ionescu, who turns 22 in December, has since built on her prestigious profile by averaging 19.5 points, 7.3 rebounds and 8.2 assists this season for Oregon. The Ducks are poised to compete for a national championship this season. And next season if Ionescu returns alongside the talented underclassmen in the rotation. And she isn’t paying the WNBA — or Laimbeer — any mind. In the second semifinal, Alanna Smith had 21 points and 12 rebounds to spark Stanford.